Since September 2015, Merel has been busy implementing different educational possibilities in “Vocal Leadership” for choral directors. She is doing this at two conservatories: Codarts Hogeschool voor de Kunsten in Rotterdam and Fontys Hogeschool voor de Kunsten in Tilburg, in collaboration with the Royal Academy of Music of Aarhus and Aalborg, Denmark. 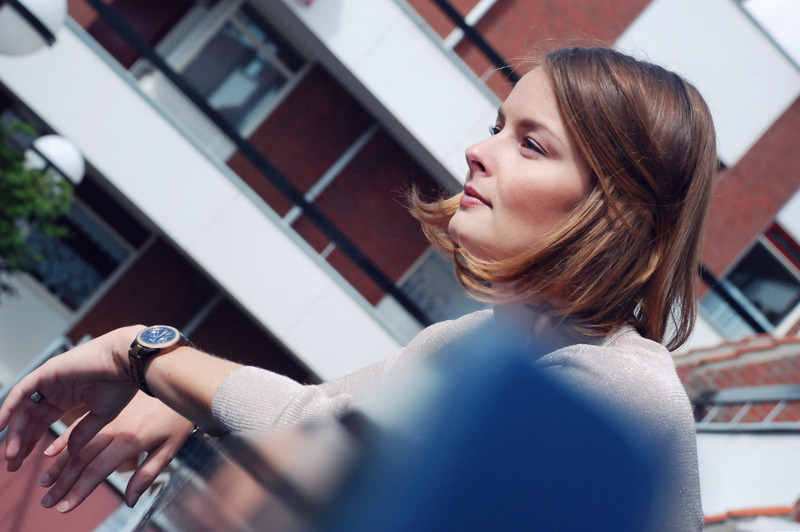 Merel graduated from this institution in May 2015 with her Master of Music with the highest honors. The team of instructors includes herself, Jim Daus Hjernoe (Denmark), Peder Karlsson (Sweden), Jesper Holm (Denmark), Marlou Vriens, Freek Koopmans and Tijs Krammer. Since September 2016 it is possible to follow a two year, fulltime Master course in Vocal Leadership at Fontys conservatory in Tilburg. The weekly lessons are on Tuesdays and incidentally on Wednesday and/or Friday mornings. The admissions test is every June, after which by a positive result you can start the following September. For more information or to apply, go to this link. This course is on a Master level regarding execution and takes two years but it is part-time and is rewarded with a certificate (not a Master’s Degree). The course is comprised of three intensive weekends per semester (twelve in total) and you can start each semester (fall or spring). The course includes four modules. You must pass an admissions test to be accepted into the program. After conclusion of the course, you will receive a certificate signed by Codarts, Fontys, RAMA and the main instructors. The Inspiration Course is comprised of three intensive weekends within one semester. These weekends are held alternating between Rotterdam and Tilburg. You do not have to pass an admission test to be accepted into the Inspiration Course. There are two modules available. When you have finished module one, you can go on to module two. The first two modules are the same as the first two modules of the part-time two year Vocal Leadership course. If you desire, you can take the admission test after completing two modules of the Inspiration Course and go straight to module three of the Part-time Vocal Leadership Course. Twice a year, an Inspiration Day is organized at either Codarts conservatory or Fontys conservatory. During this day you can get to know what Vocal Leadership is all about and learn some different aspects of the methodology in a practical manner to try out with your own choir or vocal group. Starting in September 2017 it will be possible to add a minor in Vocal Leadership to your Bachelor program at Codarts conservatory in Rotterdam. This is available for fourth year Bachelor students who want to have an introduction to Vocal Leadership (and possibly go on to the Master program). In September 2016 a new profile was added for the students of Music Instructor: Vocal Leadership. During the four year Bachelor studies and in addition to the chief major “music instructor”, the students can choose to specialize in choral direction.